Beautiful study of how Protestant denominations have restored the truths contained in God’s Sanctuary that the anti-christ has cast down. (Music in this podcast courtesy of Derek and Brandon Fiechter). Now we’re coming to the exciting conclusion in this whole drama of the defilement of the Sanctuary. We’re going to find out when and how in God’s Plan of Redemption the Sanctuary would be cleansed and restored. This is so beautiful and powerful! Listen closely as this story is still in the making. “13 Then I heard one saint speaking, and another saint said unto that certain saint which spake, How long shall be the vision concerning the daily (perpetual) sacrifice, and the transgression of desolation, to give both the sanctuary and the host to be trodden (or “trampled” – RSV) under foot? 14 And he said unto me, Unto two thousand and three hundred days; then shall the sanctuary be cleansed”. (Note: The Revised Standard Version says “The Sanctuary shall be restored to its rightful state”, meaning restored to its authority and holiness)” (Daniel 8:12-14). We learned earlier that the papacy would be allowed “to trample the host under foot” meaning to persecute the saints of the Most High for a long period: 1260 years. The pope’s power was taken away in 1798 by the sword when Napoleon’s army arrested and imprisoned the pope. The Bible says of the anti-christ: “He who leads into captivity shall go into captivity; he who kills with the sword must be killed with the sword. Here is the patience and the faith of the saints” (Revelation 13:10). God used the French army to render justice onto the papacy. For 140 years the pope lived almost as a prisoner inside Vatican City. It was Mussolini that restored the pope’s sovereignty over the Holy See, another name for Vatican State. Let me read you this quote from the New York Times, published on February 12, 1929: “ROME. The Pope is again an independent sovereign ruler, as he was throughout the Middle Ages, though his temporal realm, established today, is the most microscopic independent State in the world, and probably the smallest in all history”. On that day in 1929 the Italian dictator Benito Mussolini, who subsequently became Hitler’s closest ally, signed the Lateran Concordat or pact with the papacy who was represented by Cardinal Gasparri. Based on this agreement Mussolini would recognize the papacy’s sovereignty over the Holy See in exchange for the pope’s support for Mussolini’s dictatorship. The Lateran Concordat in 1929 was the first step in the healing of the deadly wound described in Revelation 13. We said earlier that the deadly wound was received in 1798 after 1260 years of papal power. The healing of the wound continues today with pope Francis and will soon be complete. Let’s go back now to the cleansing and the restoration of the Sanctuary. The saint that Daniel overheard in his dream or vision said: “Unto two thousand and three hundred days; then shall the sanctuary be cleansed (certain versions say “restored”)” (Daniel 8:14). We already learned that the 2300 days are in fact years, right? This is prophetic time so days are reckoned as years. When did the 2300 years start and end? The starting point was the year 457 B.C. How do we know that? We can’t get into all the detail now but the 2300-day prophecy has the same starting point as the 70-week prophecy. They both start counting when Artaxerxes King of Persia issued the decree to restore and rebuild Jerusalem. This is described in the Book of Ezra Chapter 7. The restoration of the Sanctuary refers to the restoration of the truths that were trampled to the ground: the recognition of Messiah as the only Head of the Church and the only mediator between God and men and the acceptance by faith of His perfect sacrifice as sufficient to save our souls. There were some additional truths that we’ll discuss momentarily. The cleansing of the Sanctuary refers to the Judgment of the House of God, or the Judgment of the Righteous. Before Jesus comes there is an “investigative judgment”. This judgment takes place in heaven for the benefit of the holy angels and the citizens of the unfallen worlds. Jesus needs to demonstrate to the watching universe which of those who call themselves Christians are actually Heaven-material and fit to save. It’s only those that Jesus will bring back with Him to heaven when He comes the second time to gather up His people. What we’re going to do now is take a quick tour of the Sanctuary, and associate to each article of furniture in each section of the Sanctuary the corresponding desecration of the anti-christ. It’s a painful exercise but immediately afterwards we’ll rejoice in the beauty of the restoration of Bible truth associated with every sacred article. Jesus’ perfect sacrifice negated. The papacy pushed the purchase of indulgences and other works as the means to salvation. The cleansing that is represented by baptism was replaced by counterfeits: infant baptism and baptism by sprinkling. The papacy took away the requirement to repent and confess our sins and make public confession of our new faith in Jesus. The table of showbread represents God’s Word. The papacy burned Bibles and those who owned them. It refused to acknowledge the authority of scripture in the life of men and of the Church. 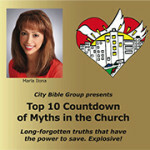 It replaced the truth of God’s Word with the man-made traditions of the Church. The seven-branch candlestick represents the Holy Spirit and our witnessing for God. The papacy doesn’t acknowledge the Holy Spirit as Christ’s representative on Earth. Instead the pope claims to be “Vicarius Fili Dei” or “the vicar of the Son of God”. The altar of incense represents the mediation of Christ before the Father. 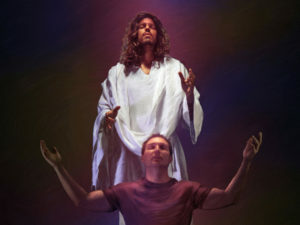 “For there is one God and one mediator between God and men, the man Christ Jesus” (1 Timothy 2:5). As we said earlier the Roman Catholic Church introduced an army of counterfeit intercessors (the Virgin Mary, saints, martyrs, angels and even priests) who simply do not have the mission or the anointing of Jesus our High Priest to mediate for us before the Father. The confessional is another example of where the Catholic Church took away Jesus’ role as High Priest who forgives sins and cleanses us of our unrighteousness. They’ve put an ordinary man in the place of God who alone can forgive sins (Mark 2:7). The papacy has transgressed the law of God by changing it and inducing others to break God’s holy law, the Ten Commandments. They omitted the Second Commandment which prohibits idolatry and image worship. They also changed God’s holy day of worship from the seventh day of the week – the Sabbath – to the first day of the week – Sunday. This is God’s throne where He sits, sovereign over the entire universe. The papacy has tried to come against God’s throne by claiming that the pope is the Head of the Church in replacement of Christ. This is the ultimate characteristic of the anti-christ, “who opposes and exalts himself above all that is called God or that is worshiped, so that he sits as God in the temple of God, showing himself that he is God” (2 Thessalonians 2:4). The light of the Bible was the main catalyst of the Protestant Reformation. Very early in the Christian era Jerome had translated the original Greek and Hebrew manuscripts into Latin, in a Bible version that came to be called the Latin Vulgate. But only the privileged castes of the Catholic clergy could read Latin. What really sparked the spiritual flame that set Europe on fire was the translations of the Latin Vulgate Bible into the language of the people. The Waldensian movement that started in the south of France towards the end of the 12th century translated the Bible into the Romance language. This was followed by John Wycliffe’s translation into English during the 1400’s. Two centuries later Martin Luther translated the Bible into German. The light that was shed by God’s Word brought an entire continent out of the darkness of superstition and slavery to the popes and clergy. The people could now read God’s Word by themselves without the need of an interpreter or translator. The Protestant Reformation gained strength and God’s people grew in knowledge and understanding of the scriptures. God’s truth which had been cast to the ground began to emerge slowly but surely. Each of the successive Protestant denominations that came on the scene vindicated at least one or more aspects of God’s truth, so that little by little the Sanctuary truth was restored. The Baptists reinstated baptism by immersion as a key way to make public confession of our faith and to die to sin and self and be re-born with Jesus. The table of showbread represents God’s Word. Brave men stood up against the papacy to translate the Bible into the language of the people. Millions of Protestants died at the stake defending our right to own a Bible and to live by every Word that proceeds out of the mouth of God. The seven-branch candlestick represents the Holy Spirit and our witnessing for God. The Methodist Church restored witnessing as a key aspect of the Christian faith by proposing a “method” of giving Bible study. The altar of incense represents prayer and intercession. The Calvinists put a special emphasis on prayer and confession to be reconciled with God. And all Protestant denominations accepted God’s teaching that His Son is the only bridge between heaven and earth. “Therefore He is also able to save to the uttermost those who come to God through Him, since He always lives to make intercession for them” (Hebrews 7:25). Jesus alone can forgive sins. The Ark represents the law of God. The Seventh-day Adventist Church restored the “times and laws” that the papacy intended to change (Daniel 7:25). First, Adventists restored the importance of God’s law in the Christian walk, both the Second and the Fourth Commandments which are both about proper worship. In restoring God’s time Seventh-day Adventists also restored historicism as the correct method of Bible interpretation. Second, Seventh-day Adventists also restored the prophetic understanding of the identity of the anti-christ. All the Fathers of the Reformation including Martin Luther knew that the papacy is the anti-christ. When the Jesuits introduced other methods of prophetic interpretation this knowledge was lost. But it’s been restored by Seventh-day Adventists who are telling the whole Evangelical world to stop looking at the Middle East for the fulfillment of prophecy and to look instead at Rome and the United States. By denouncing the anti-christ power SDA’s have restored the Mercy Seat as the throne of the true God that the pope has tried and continues to try to usurp. Think of this process of Protestant restoration of truth as a relay race. Brothers and sisters were hungry for truth after centuries of lies and deceptions, looking to obey God and not the vain traditions of men. The Waldensians, the Lutherans, the Baptists, and the Methodists all carried the baton forward to each successive team until it’s brought to the finish line. Seventh-day Adventists are charged with finishing the work. SDA’s are not better than anyone else. They were simply raised up “for such a time as this”, a prophetic movement that was made up of pioneers of all denominations. 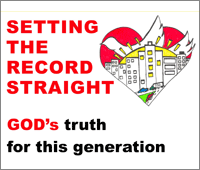 To SDA’s has been entrusted the saving truth for the last generation, the generation that will face the most trying time ever since there was a nation (Matthew 24). There’s no pride in what I’m saying about Seventh-day Adventism. On the contrary, it’s very sobering. “To whom much is given, of him much is required”. The final judgment will be so much more stringent on SDA’s for all the light we’ve received. I’m trying to share that light with you today. But ultimately the choice is yours. We opened today with God’s choice that He put before the children of Israel: “I call heaven and earth as witnesses today against you, that I have set before you life and death, blessing and cursing; therefore choose life, that both you and your descendants may live” (Deuteronomy 30:19). Let me close with this. It’s no accident that 2017 was the 500th Anniversary of the Protestant Reformation. In the Bible the number 5 has several meanings or symbolisms that are particularly relevant for us today. The Lord is telling us today that the time of grace is running out. Will He find a people willing to stand in the gap for apostate nations and religions? Will He find a people obedient to His Law and living by His Word? Will He find a people prepared to stand in the time of trouble that’s about to be unleashed on the world? Will Jesus still find faith on the earth when He comes? May the Lord give us His grace, His righteousness and His Spirit that we may answer: “Even so, come Lord Jesus” (Revelation 22:20). Come. (Special thanks to Derek and Brandon Fiechter for their beautiful medieval music. Check out their medieval music CD). Tagged altar, antichrist, ark, baptism, blasphemy, candlestick, catholicism, chrisitanity, Christian, church, communion, confession, court, covenant, God, holy, incense, Jesus, laver, lord, mercy, most, of, outer, place, Pope, protestant, Protestantism, reformation, sacrifice, sanctuary, seat, sevenbranch, showbread, table, the.